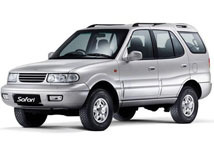 Muv's Suv's Car Rental India, Muv's and Suv's Car Hire India, Muv's and Suv's Cars in India, Rent a MUV and SUV Car. – NWTlimoint.com. 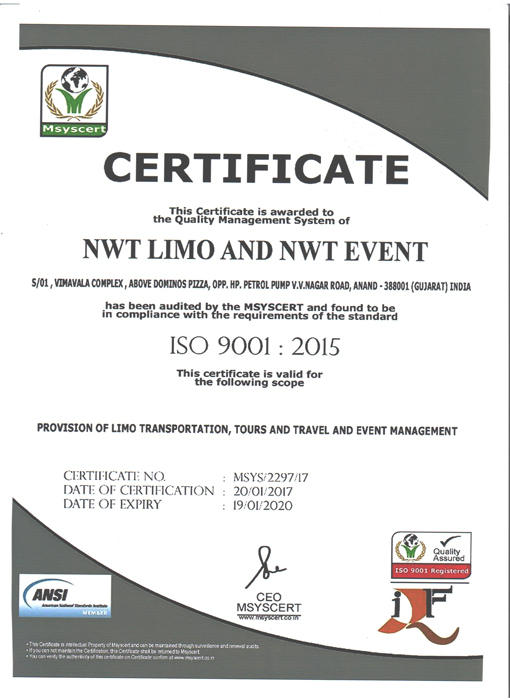 NWT Limo Car Hire to get the best car hire deals in the India for all types of Muv's, Suv's and 4x4 car hire. Many of the car hire deals come with many great offers and great prices to suit everybody. Explore the India in style by hiring a car, it has never been so easy making it the best way to travel. You can have the choice to pick your up you car in one location and drop off at another. NWT Limo Car Hire has made sure that cheapest prices are available for our customers and withall the major car hire companies in many locations around the India. There is a wide choice of economy and compact cars, the extensive range of hire cars to choose from include the Mercedez Benz Viano, Toyota Land Cruiser, Ford Endeavour, Mahindra Xylo and many more. Our hire cars come in all shapes and sizes such as vans, prestige models, sports and classic cars, just take a search around our site for the perfect car. 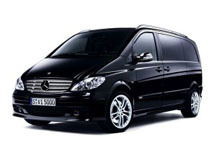 The Mercedes Viano is an excellent vehicle for couples that breed successfully. With variable seating arrangements and versatility, the Mercedes Benz Viano MPV is delivered in four engine sizes. Boasting safety, seating flexibility, intelligent storage and ample room for up to 8 people and their luggage, the Viano remains the popular MPV choice. 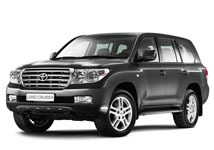 Few trucks or SUVs are as well known around the globe as the Toyota Land Cruiser. For more than four decades, this vehicle's rugged and durable nature has allowed it to be used in the world's most extreme environments. The Land Cruiser has a traditional ladder-frame structure and can seat up to eight passengers in its three rows of seating. The Land Cruiser, along with the Hilux utility, has been used in the world's most grueling terrains and climates. Design of the Land Cruiser began in 1951 as a Toyota Jeep-like vehicle and production began in 1954. Ford Endeavor is an SUV; available in both 2-wheel and 4-wheel drives. It is powered by 2.5L inter-cooled turbo diesel that delivers maximum power of 112ps/3500. Ford Endeavor's high ride height, balanced wheel well openings and substantial proportions below the body side moldings lend it an impressive appearance. It is quite spacious and can seat 7 passengers comfortably with easy in-and-out access to the third row seats. Mahindra is here again, this time with a grand MUV Mahindra & Mahindra XYLO in its kitty that has a robust and an aggressive look that will have a very appealing effect on the MUV lovers. Mahindra & Mahindra XYLO is a classy high end MUV with ultra sporty looks. The Mahindra & Mahindra XYLO is a dynamic car with many advanced features that not only add the comfort element in the car but also an array of safety measures attached to it. 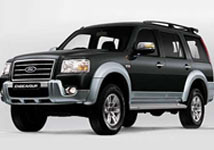 An eight-seated off-roader with state of the art features, the Tata Safari is a trailblazer for such vehicles in India. It offers a unique combination of ruggedness, power and sophistication. The Tata Safari matches international brands poised to enter the Indian market. Powered by a 1948 cc diesel turbo-charged inter-cooled engine generating an output of 90 hp, the vehicle also meets European Union emission norms and uses CFC-free air-conditioning gas. Toyota's people mover looks every inch a winner: It has terrific interior space and comfort, great refinement, a smooth and punch pair of engines and impressive flexibility. Moving away from the crude UV tradition, the Innova is car like to look at and drive and beautifully built. To extend the comfort, it has 3rd sitting row and can sit 5 passenger's. If you want to travel in a comfortable car and make your journey something special in India, then NWT Limo offers you Chevrolet Tavera. This car has been recently launched by Chevrolet. 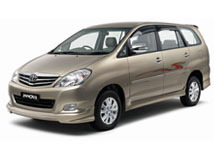 It is an economical and reliable car for traveling longer distances on the Indian roads. The Chevrolet Tavera supports a powerful stance, advanced suspension system, an Insta-Torque engine, an Ergomax seating design and triple row air Conditioning system will surely make your journey comfortable. The Tavera car has a very stylish and flowing exterior design. 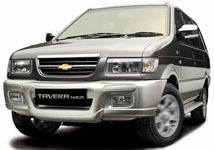 Chevrolet Tavera has been declared the best in mileage in its class by Overdrive. The car provides an outstanding mileage of per litre of diesel. 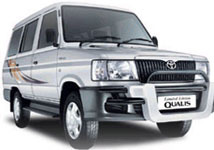 Qualis have also been given a complete Comfort, giving it a feel of the luxury car. It has luxurious captain seats with armrests in the second row, power windows on all the four windows, exquisite wood paneling on the dashboard and an ergonomically designed power window control panel. The meters light up in vivid blue that are easier to read. There is also a controlled door lock system. Its driver seat has a wide, commanding view. The rear seats are designed to allow your entire family to relax in the car's roomy space.